There are two types of dinosaurs in the paleontological record: the giant, ferocious, surprisingly cuddly Tyrannosaurs Rex, and then all of the other kinds. 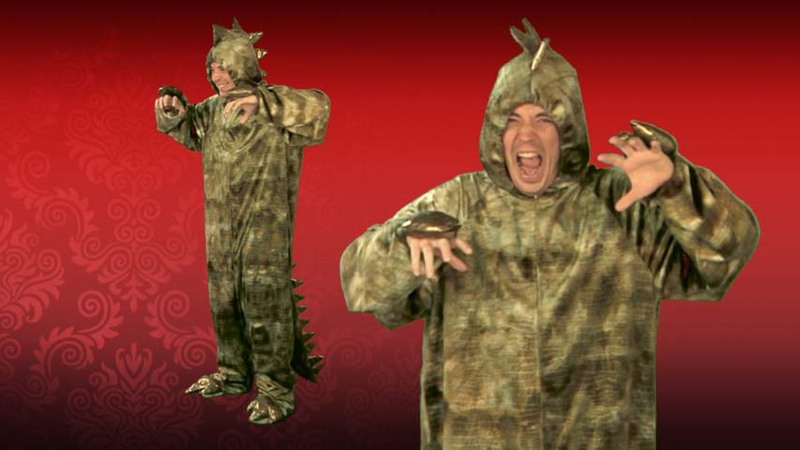 Dress up as the best dinosaur in prehistory with this T-Rex Dinosaur Costume, and become a legendary monster of the Mesozoic Era! Yep, you did read correctly earlier, T-Rexes have an unexpected cuddly side to them. Actually, every animal does if you know how to bring it out, but it might be a little more difficult to bring it out of a Rex (and not just because all of the real ones have been gone for 65 million years). Their sensitive side is tougher to find because they've spent ages building a fearsome, indomitable reputation. If you saw a T-Rex in person, though, you'd realize it's all an act, and they just wanna hang out and have a good time, which is something we can all relate to. Since you're probably used to seeing these dinos as towering, tough skinned behemoths with giant toothy heads and ridiculously small arms, it may take a moment to get used to this costume. But trust us, once you step into this cozy bodysuit, with the comfortably proportional arms and hood, you'll warm right up to this new, more chilled out perspective on the lizard. 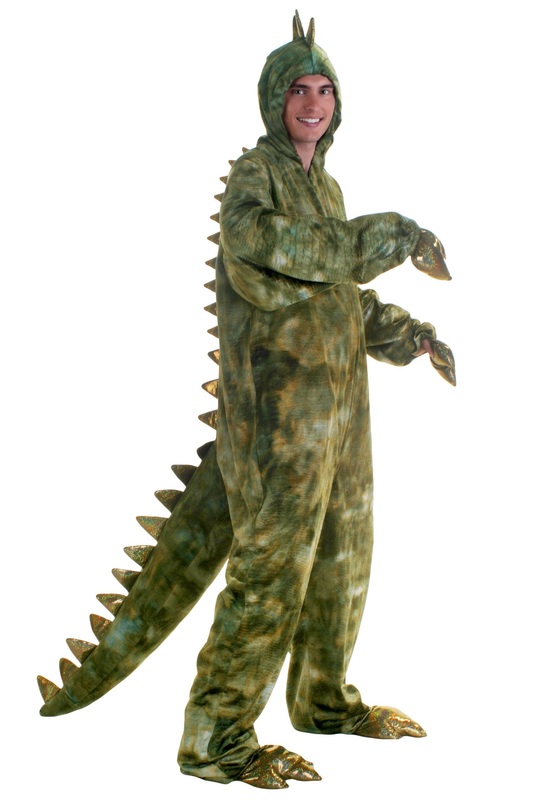 However, if you do feel the urge to display some of T-Rex's trademark fierce demeanor, you can always give the costume's big plush tail a swing. It may be soft, but it gets the message across.